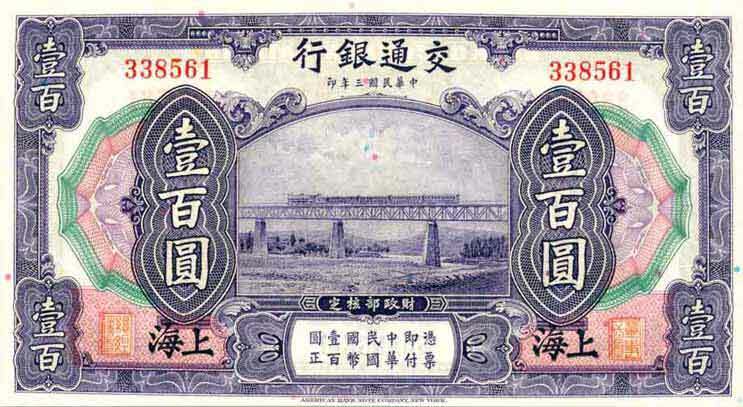 I think trains and ships always look good on banknotes. 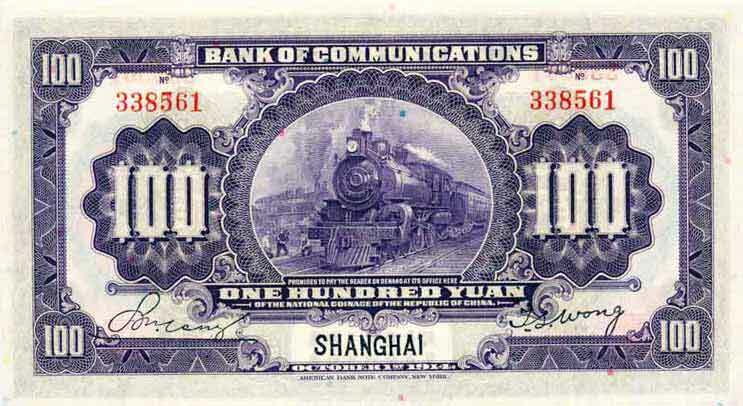 Bank of Communications 10 cent note 1927. A different train by the looks of it. 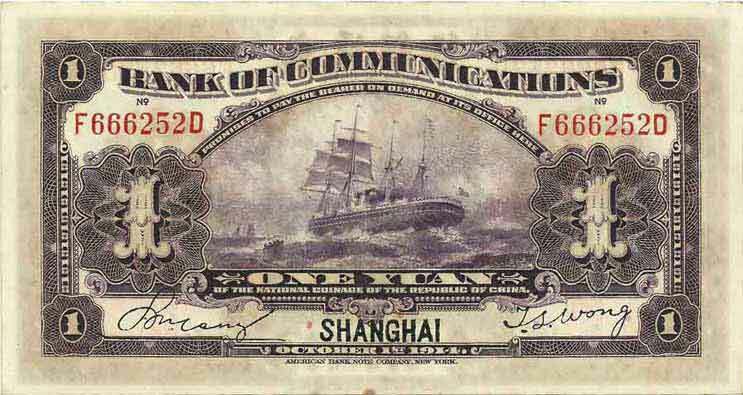 Here is another attractive Brazillian note, featuring sailing ships in harbour. 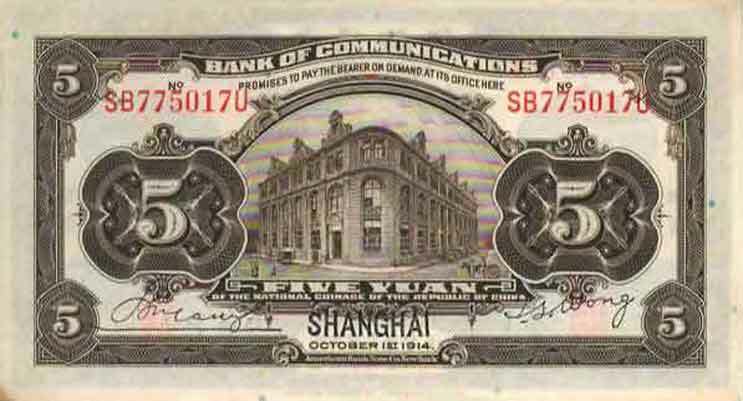 Its design is somewhat reminiscent of Irish notes printed by Perkins Bacon in the same era. 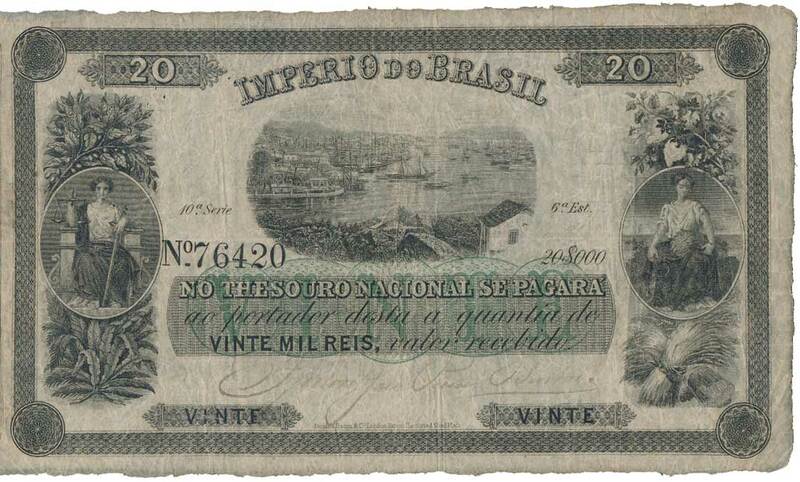 Brazil 20,000 Reis, circa 1840s? A Canadian note this time. 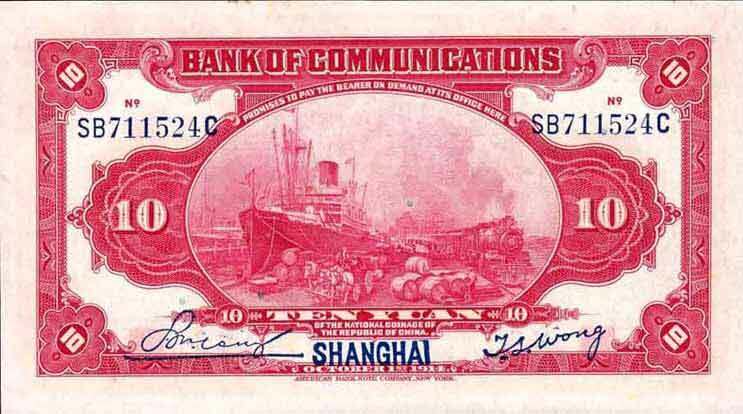 Royal Bank of Canada 10 Dollars 1913 features a capital ship-sized naval vessel, the Dreadnought HMS Bellerophon. Another Canadian note, from PEI this time, features an attractive engraving of a paddle steamer. Summerside Bank 5 Dollars, Prince Edward Island, CA. Here is a favourite of mine. 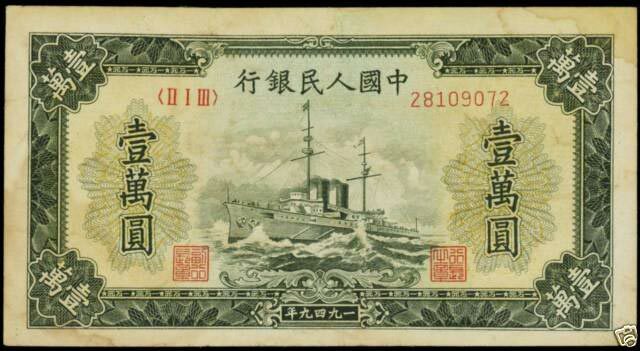 The 1918 $2 battleship note. 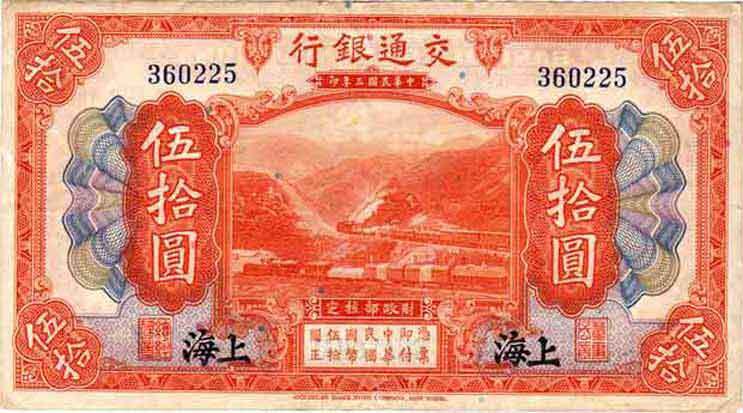 Here's a nice Hong Kong note with a sort-of ship on the reverse. 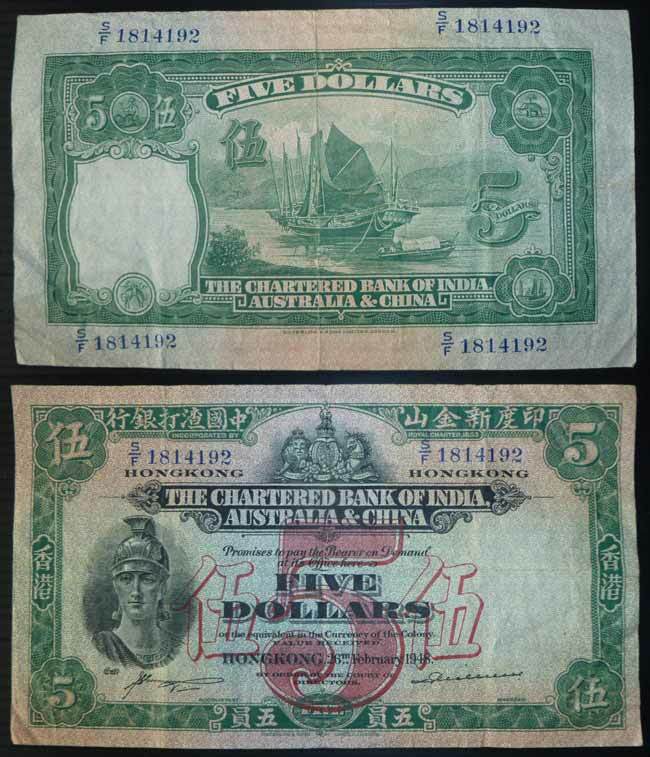 Chartered Bank of India, Australia and China, 5 Dollars 1948. 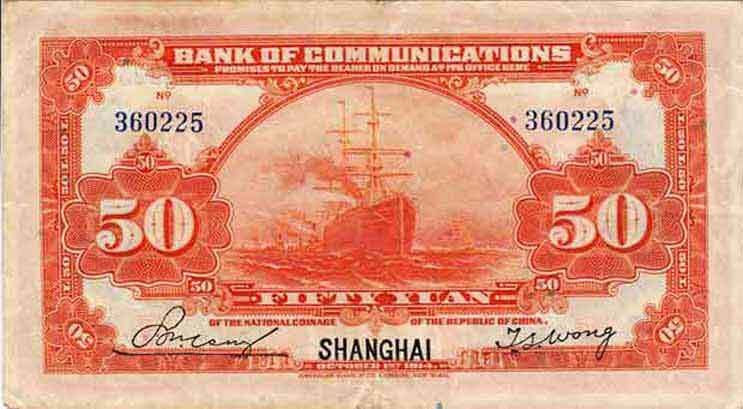 And a Chinese note depicting a cruiser class vessel by the looks of it. 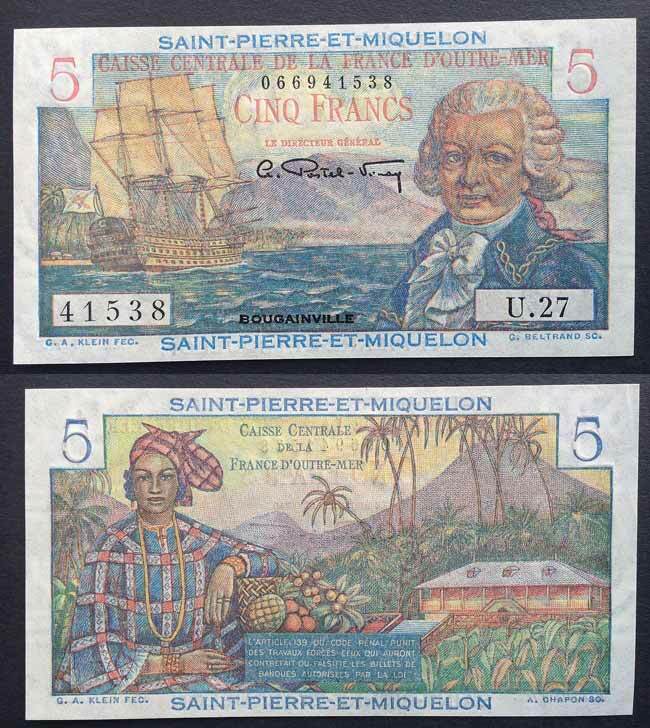 Some of the French colonial banknotes are very attractive. this 5 Franc note is from St Pierre et Miquelon, a French overseas territory near Canada. 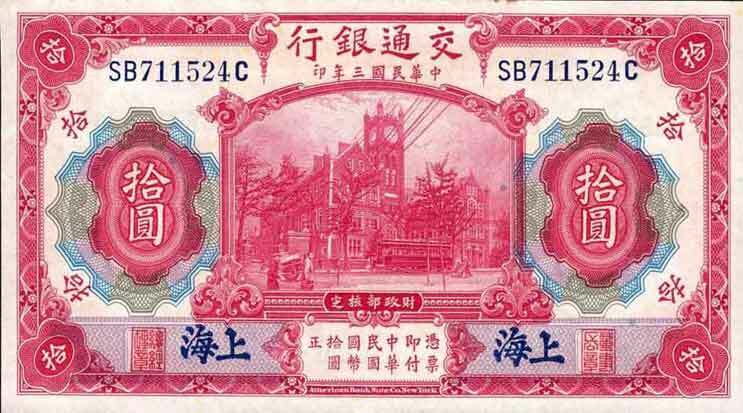 St Pierre et Miquelon 5 Francs 1950. 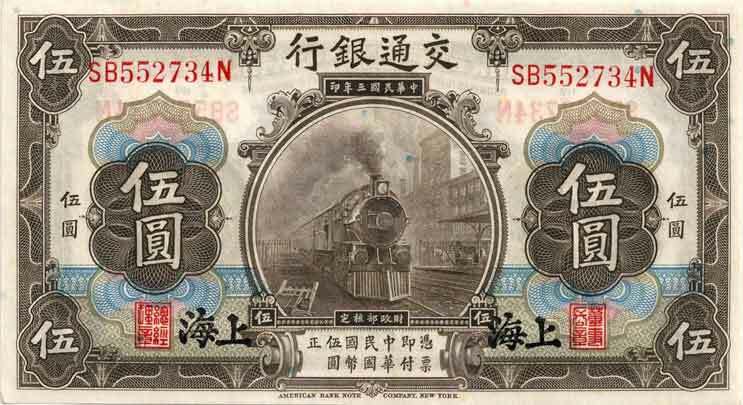 Mexico 1 Peso from 1913 with a nice engraving of a stem locomotive on it. 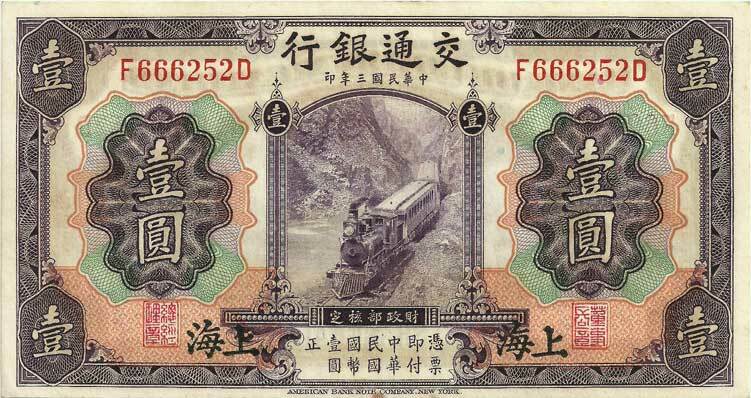 A pair of US 'Railroad company' notes, featuring (surprisingly) trains! A nice country scene on this one.